The botched investigations in Gudia gangrape and murder case is leaving the Central Bureau of Investigation (CBI) baffled as it is yet get any evidence which might lead to nabbing the culprits. Failing to collect any concrete evidence, the CBI on Friday announced a reward of Rs 10 lakh to anyone who could provide credible information leading to arrest of the culprits. 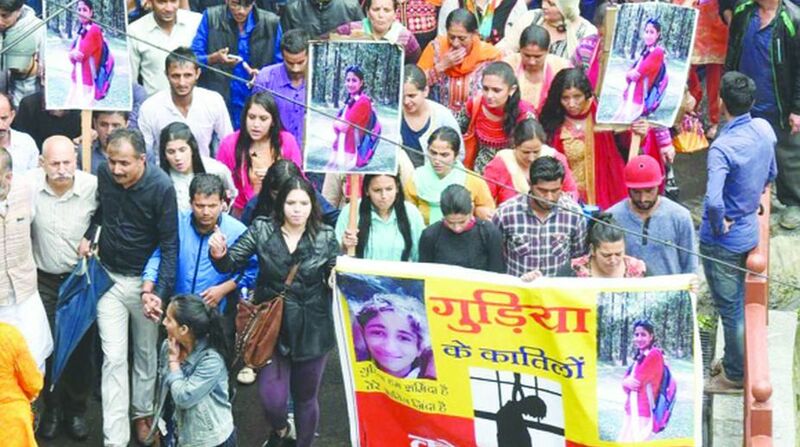 This may lead to resentment among locals in Kotkhai area of Shimla district, as they fear that the CBI might not be able to solve the case any time soon. The CBI teams which are camping at Kotkhai, have so far collected DNA samples of over 1,100 persons in case but these samples didn’t match with samples collected from Gudia’s body. 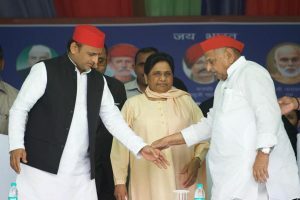 Locals and social organisations like the Madad Sewa Trust, who were already apprehensive about the arrest of real culprits, have already warned of aggressive protests, if CBI fails to put real culprits behind bars. The CBI, which would file its final status report in the case on 20 December, is still questioning random persons in Kotkhai and Halaila forest where the body of the girl was found. After taking over the investigations on 19 July, the CBI had arrested eight cops including IG Zahur H Zaidi and later the then SP Shimla, DW Negi for custodial death of one of the accused, Suraj in police custody. In the chargesheet filed against the arrested cops, the CBI had alleged all five accused, namely Rajinder Singh alias Raju, Suraj, Subhash Singh Bisht, Lokjan alias Chhotu and Deepak were tortured by Special Investigation Team (SIT) to implicate them in Gudia case. The torture had culminated in the death of Suraj and subsequent framing of Rajinder in the case. It was also revealed from the narco-test of Raju and other accused, Subhash, Lokjan and Deepak that they were not involved in gangrape and murder case of Gudia. In fact, the family members and orchard owner, where the accused were working, had revealed that they were working in apple orchard at the time of the crime pertaining to the case. The SIT members including DSP Theog, Manoj Joshi, SHO Rajinder Singh and ASP Bhajan Negi had made video recordings of the confessional statements of Subhash and Lokjan but they never put these on record with evidence. The CBI officials had recovered working copies of these from the mobile phones of the cops and also from the computer of IG Zaidi. Gudia, a tenth standard girl from Kotkhai, had gone missing while returning home from school on 4 July. Her body was found in the woods on 6 July with multiple injuries on her body. Her autopsy had confirmed that she was gangraped and later, strangulated to death.